Operatives of the Anti-Kidnapping Unit in the Imo State Police Command have arrested 27-year-old Idris Ishola, in connection with kidnapping and murder. The State Commissioner of Police, Dasuki Galadanchi, said that the suspect, an indigene of Osun State, was arrested in Nkpolu, Rumuigbo in Rivers State on August 17 in connection with the murder of 20-year-old Oluchi Odumele. She's from Orsu Local Government Area of Imo State. The CP said that apart from the murder of the 20-year-old, Ishola was the leader of the gang, who had kidnapped six persons from the state. Galadanchi said, “Idris Ishola is the principal suspect who was involved in the kidnapping of six victims and the murder of one Miss Oluchi Odumele, 20, of Orsu in lmo State. According to the CP, the suspect has confessed to the crime and other kidnapping incidents within the state with his gang members. 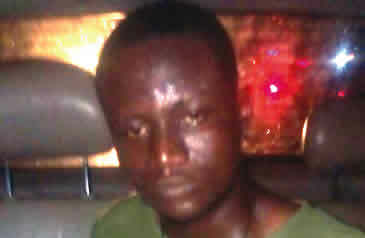 He promised that Ishola would be charged to court to answer for his crime. The CP attributed the breakthrough to the Inspector General of Police community policing strategies, which he said his command was fully implementing.